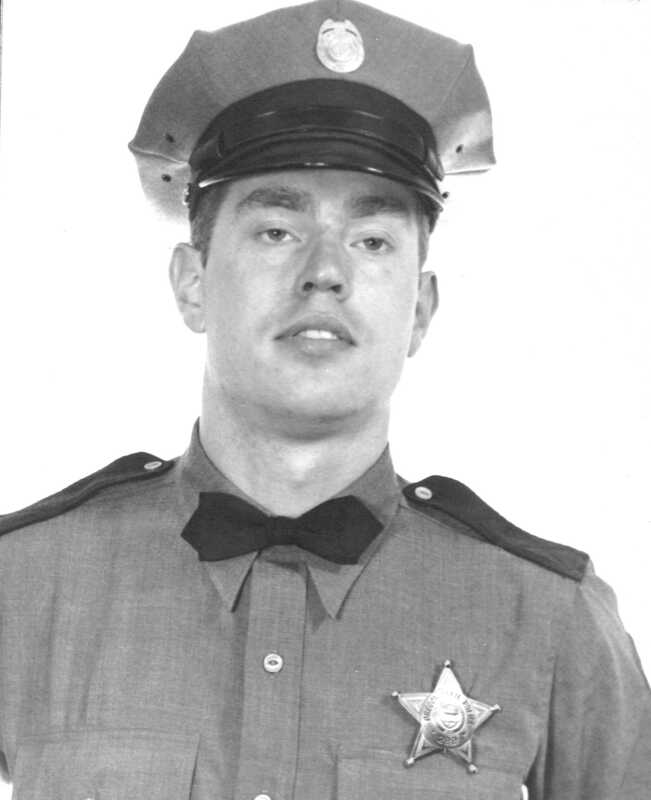 Trooper Donald T. Welp joined the Oregon State Police on July 1, 1959 the same day as Trooper William M. Hall who also died in the line-of-duty just six months previously. He also joined as a recruit as a Game Officer. His initial assignment was as a Game Officer out of the Baker, Oregon Office. He was transferred to the Gold Beach Office in August of 1963. On the afternoon of November 15, 1967 Troopers Donald T. Welp and Wayne Krieger were returning from a boat patrol that had taken them up the Rogue River to Agnes, Oregon. They were just East of Gold Beach at a place in the river called John's Hole with Trooper Welp at the controls of the boat. This area was a dangerous area with many rocks and snags. The boat suddenly lurched throwing both troopers from the boat. The empty boat slowed and circled and Trooper Krieger was able to catch ahold as it passed by. Trooper Welp had disappeared from sight. His body was recovered the following day. Trooper Welp was born in Waldport, Oregon to Timothy and Grace Welp on May 1, 1934. He graduated from Toledo High School in 1952 and worked in the Toledo/ Corvallis area for several years before joining the Oregon State Police. He was in the United States Army for two years and served in California and Korea. After the Army he attended Oregon State College and graduated in June 1959. Trooper Welp was survived by his wife, LaVonne, two sons and four daughters and also by his parents and two brother and two sisters. Trooper Welp was buried at Eureka Cemetery in Newport, Oregon. Site Design by, DD. Powered by, JRC and OSS.